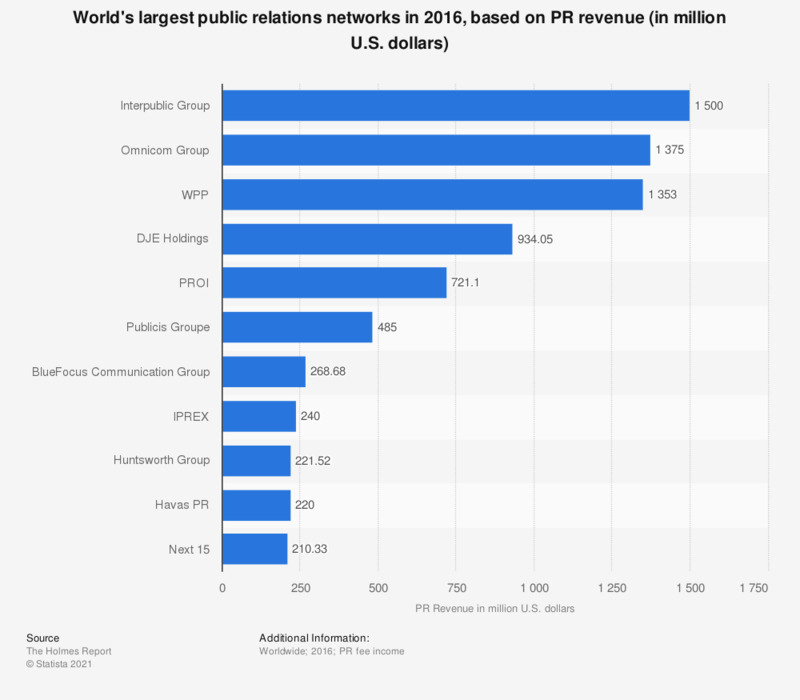 This statistic presents the revenue of the world's largest PR networks in 2016. Publicis Groupe generated a total of 485 million U.S. dollars worldwide. Date of publication is the date the data was accessed - the source did not provide the publication date.